Spring and summer are great times for watching the flowers bloom and spending time in the garden. 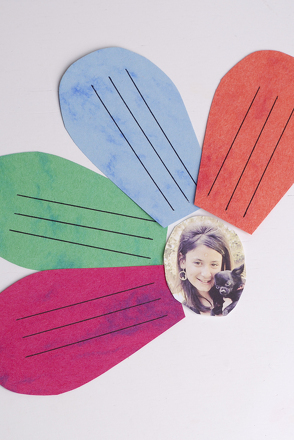 In this activity, let your child take advantage of the sunny weather and tend to some flowers of her own with these simple yet pretty flower prints. Making flower prints is an activity that can be done both inside and out, and only requires some paper, paint, and of course, flowers! Go outside and have your child look for and select a few different types of flowers or leaves for her project. Try to find a variety of shapes, sizes and textures. You can make a print from most any flower. Find a use for dandelions, for instance, or even reuse old silk flowers to create incredible abstract art in a variety of patterns and colors. Pour the printing ink into the tray. 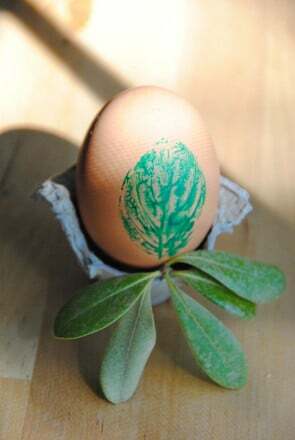 Spread the ink out with the brayer, spoon or craft stick. Make sure that the ink is not spread too thin, as your child will be dipping the flowers into the printing ink. Ask your child to dip and press a flower into the ink. Encourage her to choose for herself the part of the flower that's dipped in. Have your child firmly press the flower onto the construction paper. Remove the flower and repeat. 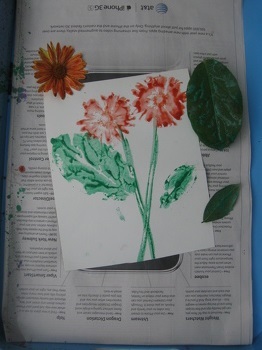 Invite your child to experiment with printing different parts of the flower and different types of plant life. Add to the printing experience by choosing many different colors of ink or paint. This will help your child to further explore colour and create unique patterns. You can also try adding some finishing touches by embellishing with glitter or by decorating the print with glued on dried flowers. 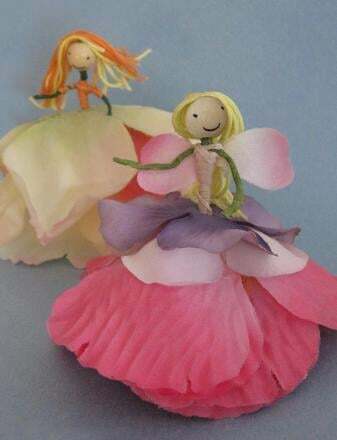 Enchant your garden with flower fairies and let their beauty bloom with this charming fairy craft. Give your child some flower power with this multiplication worksheet. She'll use her multiplication skills to find the number of flowers pictured. 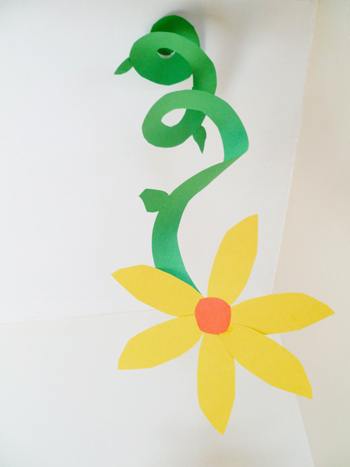 Put some spring back in the season and teach your child a little about plants with this fun paper flower art project! 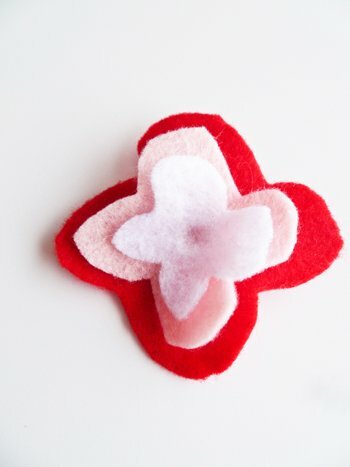 Your child can create a trendy, retro felt flower pin that will remind her of the natural beauty of flowers in full bloom no matter what time of year it is! 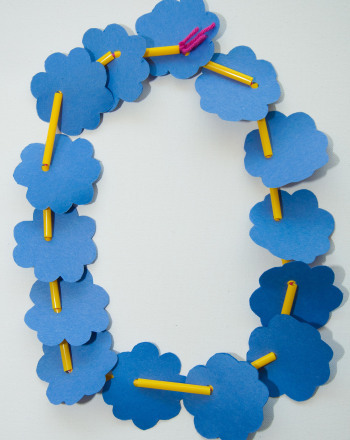 Make this spring break a memorable one by creating a "growth" flower with your child, also great for your second grader's writing practise! This flower mandala coloring page will surely be a hit! Kids who love spending time outdoors will love this mandala that's bursting with a bouquet of trillium. This flower coloring page features the exotic plant, Queen's Tears, tamed to thrive in flower pots and yardsâand in this coloring page!